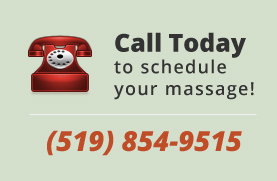 Registered Massage Therapy Services in London Ontario consist primarily of hands-on manipulation of the soft tissues of the body, specifically, the muscles, connective tissue, tendons, ligaments and joints for the purpose of optimizing health. Modern massage techniques can be traced back to the 1700’s and the development of Swedish massage, the first systematic method of therapeutic massage based on physiology. Today’s Massage Therapists use their knowledge of anatomy and physiology to combine traditional Swedish and modern Massage Therapy techniques with exercise and other therapies to treat their clients. Temporomandibular joint disorder, commonly referred to as TMJ is characterized by pain and/or dysfunction in the jaw and surrounding tissues. TMJ issues can result from an asymmetry of the chewing muscles, forward head posture, tight neck muscles, trigger points, injury to the jaw or head, whiplash, stress, uneven or missing teeth, grinding and clenching the teeth. A typical TMJ massage session will include an assessment of muscle and facial asymmetries, as well as palpation of the masticator (chewing) muscles. The massage will work to decrease tension in the facial muscles, decrease trigger points and release fascial adhesions. Due to the complex connection of certain muscles and bones, intra-oral massage should be integrated to relieve several cranial dysfunctions that are inaccessible externally. Although massage can be very beneficial in treating TMJ Disorder, the client must continue the treatment at home due to the chronic nature of TMJ dysfunctions. Benefits of Using Massage Therapy to Treat TMJ. For many people affected by arthritis, early detection and diagnosis by a physician, in addition to a comprehensive treatment plan, can help to decrease the symptoms of arthritis. I will help you to understand which type of arthritis you have and develop an appropriate treatment plan. Your individualized massage therapy treatments will depend on a number of factors such as the severity of your condition, the type of arthritis you have, your age, your occupation and your lifestyle. These treatments will focus on reducing pain and inflammation, improving range of motion and relieving muscle tension. I can also provide you with exercises and home-care advice to help you manage your pain at home. According to The Arthritis Society of Canada, over four million Canadians suffer from some form of this condition. The term “Arthritis” consists of over 100 different conditions. To keep things simple we divide arthritis into two general types – Degenerative and Inflammatory. Degenerative Arthritis: Degenerative Arthritis occurs when our joint cartilage slowly breaks down over time due to general wear and tear, postural dysfunction, as well as aging. The most common type of degenerative arthritis is called Osteoarthritis (OA for short). Patients with OA often experience morning stiffness lasting for approximately 15-20 minutes. As the day progresses and as the joints are used patients may feel that their pain and discomfort gets worse whereas resting of the joints tends to provide relief. Naturally, this pain and stiffness causes the joints to be used less often and the muscles surrounding these joints to weaken. Inflammatory Arthritis: Inflammatory Arthritis is caused by the inflammation of the lining of our joints. The most common type of Inflammatory Arthritis is called Rheumatoid Arthritis (RA for short). RA is a chronic, autoimmune disease causing patients to experience swelling, pain and heat in the affected joints. RA usually begins slowly in one or more joints, and spreads over the course of a few weeks to a few months to involve other joints. RA generally presents in a “symmetrical” pattern involving the same joints on the left and right sides of the body. The symptoms of RA vary from person to person and vary from day to day. For more information: Researching the Effects of Massage Therapy in Treating Rheumatoid Arthritis. The last 2 goals mirror an individual’s overall physical fitness, a state characterized by good muscle strength combined with good endurance. No matter which types of exercise may be needed initially and are applied to remedy a patient’s specific condition, the final goal of rehabilitation is to achieve, whenever possible, an optimal level of physical fitness by the end of the treatment regimen. Swedish massage is what most people think of when someone mentions the word massage. In Sweden, this type of massage is called ‘Classic Massage’, which is an accurate name, given how well-known it is. Most of the massages I do involve at least some Swedish techniques. I also tend to employ some hydrotherapy in my treatments. Hydrotherapy involves the application of heat or cold to produce a therapeutic effect. Heat is generally used to help loosen tight muscles and for relaxation. Cold is generally used on an injury for pain relief and to reduce swelling. Structural Myofascial Therapy (a form of Structural Integration) is a therapeutic technique that treats the body’s myofasical system. This system has two parts: the fascia, which you may not be familiar with, and the muscles. The fascia is a type of tissue that covers all of the muscles, organs, and bones in your body. It plays a key role in posture and movement. This tissue is negatively affected when you receive any sort of injury, including sports, repetitive strain/body overuse, or any sort of accident (car accident, slip and fall, sprains and strains, etc). After the injury, the fascia will become less elastic, causing stiffness and decreased range of motion. Structural Myofascial Therapy directly treats this tissue, helping to return it to a more elastic state. With this technique I will apply pressure along certain planes of the body, treating the tissue in a systematic way. The idea is to gradually pull the body back into proper physical and functional alignment (or what you might call ‘good posture’). This in turn will allow your body to move more freely and with decreased pain. Prenatal massage is increasingly gaining popularity as pregnant women begin recognizing the benefits prenatal massage has to offer women during pregnancy. Back pain is one of the more common side effects of pregnancy. Back pain can continue throughout pregnancy and even after. If you have to carry around other small children you may find your symptoms exacerbated during pregnancy. Prenatal massage helps relieve edema or swelling by stimulating circulation throughout the body. Pregnancy massage may relax your baby, particularly if you have your abdomen gently stroked. It is vital however that you seek the assistance of a qualified professional who offers massage during pregnancy. Massaging the wrong areas or focusing on certain acupressure points may actually trigger uterine contractions in some women. Fortunately Registered Massage Therapists trained in prenatal massage know exactly what areas to avoid and what areas to focus on to provide pregnant women the most benefits during a massage therapy session. Toward the end of your pregnancy you might consider a prenatal massage to relax you during labor or even help strengthen your contractions! Before signing up for a massage you might check in with your healthcare provider to be sure your doctor approves massage in your condition. Most physicians will gladly recommend a massage, but may recommend the massage therapist avoid massaging your lower back or abdomen. Massage Therapy can play an important role in the life of any active individual, whether you are training for an event or simply enjoy a game of baseball with your friends. I have a variety of techniques I can use in your treatment, depending on your specific needs.